Did you know that for the past 5 years one of the largest marathons in the world has partnered with Good Deeds Day? The International Rome marathon and the 5k Rome Fun Run are massive events that draw thousands of participants from all around the world, making it a perfect opportunity to promote and practice doing good! Alongside the races, in Circo Massimo, there will be a huge NGO fair centered around volunteering. It will be a day of celebration, entertainment, awareness, and giving back! 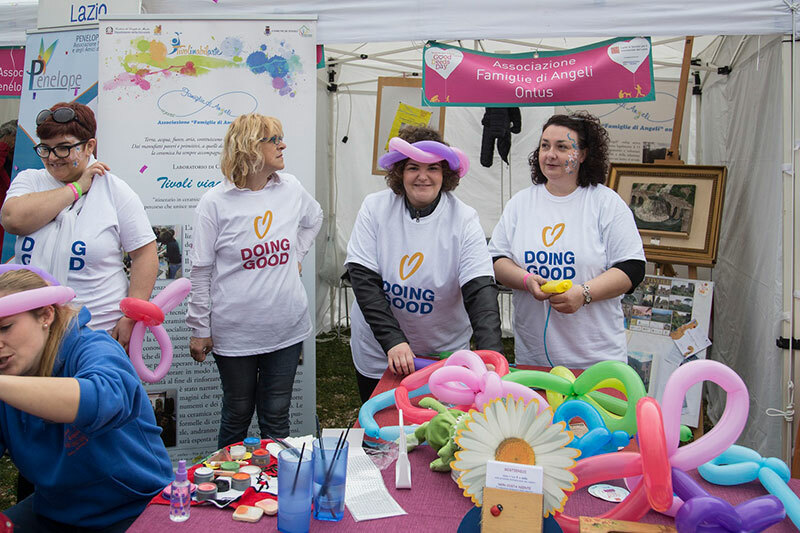 Over the last 4 years Good Deeds Day Moldova has grown so fast it’s hard to keep up with them! Republican Volunteer Center (RVC) joined the global movement in 2016 with 1 project and 300 volunteers. This year they are expecting 4,000 volunteers to take part in projects throughout 30 cities and 19 villages across the country- AMAZING! Projects include clean up & tree planting campaigns, visiting children’s hospitals & elderly homes, food drives, and so much more. We guarantee you’ll find a project that sparks your interest! In Land O Lakes, Florida our partners at Appreciate Pasco know how to bring their community together! 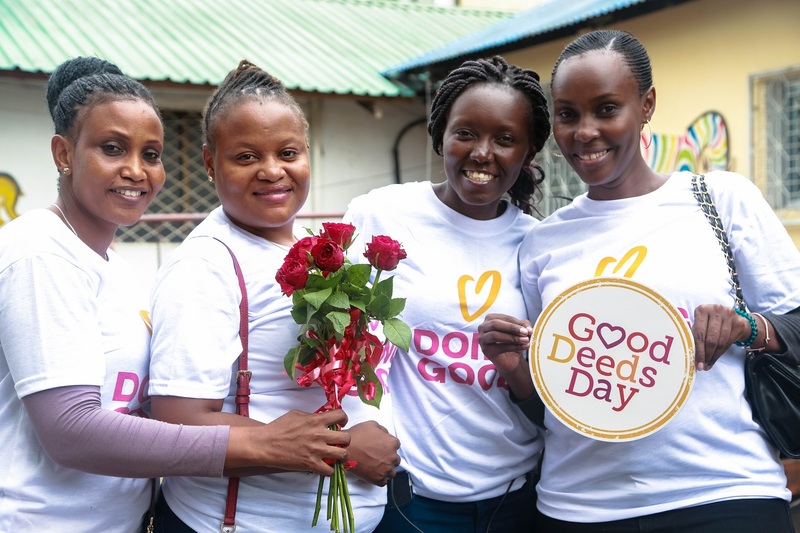 Over 200+ participants are expected to attend their Good Deeds Day event this year, which is a community building festival centered on good deeds. The festival will bring together local nonprofits and businesses, arts & crafts vendors, musicians, and more! 50 different organizations will be represented- impressive! The 6-hour event will include activities, games, awards, and musical entertainment. It is a free public event, so if you are in the area be sure to check it out! The Network of Mongolian Volunteer Organizations are coordinating their largest Good Deeds Day event to date! The GIANT event will take place at the National Garden Park in Ulaanbaatar where 1,000+ participants will have the opportunity to do good on the spot by taking part in an NGO fair, health & education stations, games, and other fun activities! The event will conclude with a huge flash mob- not something you want to miss out on! Under the theme, Everyone, Everywhere Can Do Good, our partners in Dar Es Salaam, Tanzania are hosting a two part event in one: a Good Deeds Day NGO Fair and a blood drive. The NGO fair will give local nonprofits a chance to exhibit the meaningful work that they are doing and showcase their volunteer opportunities. Event attendees will be able to do good on the spot by participating in a blood drive. 1,000 people are expected to attend, will you be one of them? – BOOKS for LOVE @ $10 is a signature event of Swire Properties Community Ambassadors. The projects calls on individuals to donate their used books for a charity book sale. The event will be held in Taikoo Place in Quarry Bay, Hong Kong and they are expecting 1,000 volunteers and 3,000 participants- that’s amazing! – Between April 12-14, HandsOn Hong Kong will be hosting 30 volunteer opportunities throughout Hong Kong. Individuals are encouraged to sign up and participate! Projects will focus on topics including animal welfare, aiding the homeless, beach clean-up campaign, supporting refugees, and more! 20 organizations, institutions, and volunteer groups are coming together to celebrate GDD in Bolivia. The day of doing good will kick off with guest speakers Elmar Callejas, the President of the Parliamentary Brigade of Chuquisaca, and Samuel Cabero, President of the National Volunteer Council in Bolivia (Conavol). Over 300 volunteers will be mobilized in multiple projects including but not limited to clean up campaigns, clothing drives, animal welfare, hospitals visits, etc. 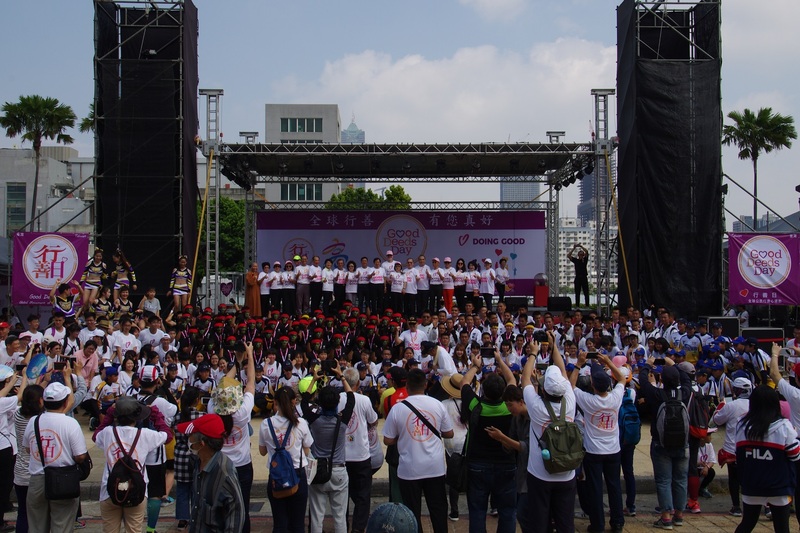 Utilizing GDD all year round through volunteer activities and partnerships, our long-time partners over at Taiwan Association for Volunteer Effort will be producing a mega event to celebrate doing good. Honored guests will include top government officials, nonprofit leaders, and there will be fun entertainment for everyone to enjoy! Based on what they have planned for GDD 2019, you would never have guessed that last year was the first year that Good Deeds Day arrived in Zimbabwe. Projects will be held in two major cities on April 5; Harare and Gweru. Each city will focus on a large clean-up campaign. Gweru will also host a GDD fair at the civic center where they are expecting 500 participants. The fair will consist of a blood drive, a food & clothing donation drive for victims of cyclone Idai, as well as access to free HIV testing/counselling. Participating organizations and stakeholders will have the opportunity to exhibit their organizations to the public and share ways that they can get involved in the positive work they are doing. The mayor of Gweru, who is a strong backer of GDD, will give a keynote address kicking off the day. HandsOn Manila know how to host a FUN Good Deeds Day! Partnering with the local government, HandsOn Manila will be hosting a carnival day in Makati City’s Village Park for city residents as well as a special group of 200 children from a local orphanage. The event will be full of games, free food, magicians & jugglers, and other performances! 800 people are expected to attend. 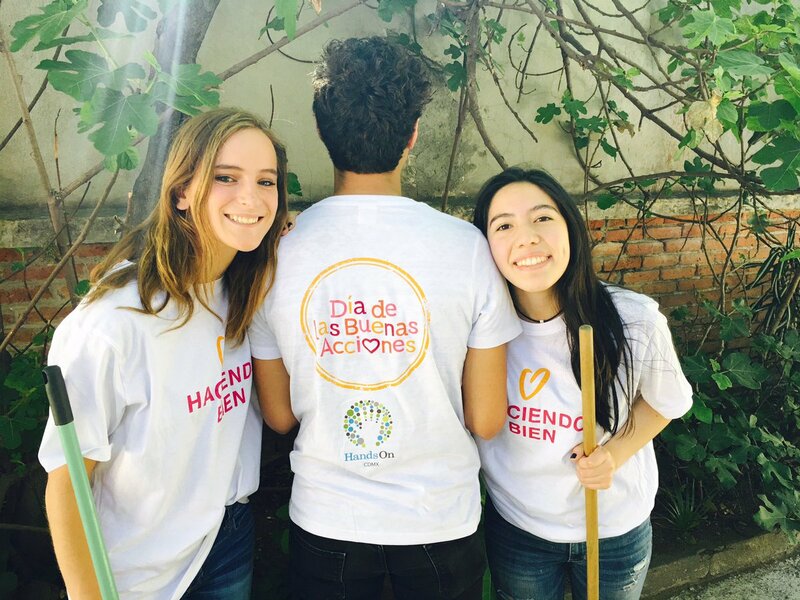 Good Deeds Day in Argentina will kick off on April 5th and conclude on May 7th. Partnering with the Argentinian government to create a cohesive and robust Good Deeds Day in two main cities, there will be a mega event in the city of Buenos Aires and Salta. The main event in Buenos Aires will be held on April 6th in partnership with the City of Buenos Aires. It will be a celebration of doing good and will include an NGO fair to showcase local nonprofits, musical shows, and GDD projects “on the go” open for anyone on site. Smaller events in 7 different municipalities of Buenos Aires province are also participating and offering volunteer projects. In the northern city of Salta, there will also be a mega event. 300 volunteers are currently registered to take part in the day of doing good. Multiple nonprofits will be leading volunteer activities for the public to participate in. In early May Scouts Argentina will bring together thousands of youth, NGOs, schools, and companies to do good across the country. The Caribbean region has embraced Good Deeds Day and what the global movement stands for – this year 12 countries are joining forces and taking part in the global day of doing good. Volunteer Saint Lucia is one of our incredible partners in this region and they have a full lineup for their GDD 2019. Partnering with the government, Volunteer Saint Lucia are offering individuals not just 1 day of doing good, but 9! From Zumba classes to panel discussions, there is something for everyone! In Mexico, 7 states are officially taking part in GDD 2019- and 6 of these states are hosting mega public events! Mexico City will be hosting a NGO fair for university students at The National Autonomous University of Mexico (UNAM). Participating nonprofits include Cemefi, Voluntarios Unam, Dirección General de Orientación y Atención Educativa (DGOAE), Junta de Asistencia Privada (JAPDF), Instituto Nacional de Desarrollo Social (INDESOL), Voluntarios ONU, Fundación ADO, Hands On México, among others. Come hear more about these organizations and how you can get involved. Queretaro has organized 24 hours of good deeds! The celebration will take place on April 6th and it involves more than 40 nonprofit organizations, corporations, government offices and schools. There will be volunteer opportunities at 20 locations around the city for anyone to come and take part in! As of right now, 200 volunteers have already registered! Local artists and influencers will be attending the event. Don’t miss out! Guanajuato, Monterrey, Guadalajara and Aguascalientes will also host central events that will include musical entertainment, games, opportunities to do good on the spot, and a chance to learn about volunteerism within their communities. Good Deeds Day promotes doing good 365 days a year. Check out The Good Map to see positive actions being done around the world on a daily basis. We encourage you to add good deed(s) that you have done or a good deed that someone has done for you to the map- simply add a pin!